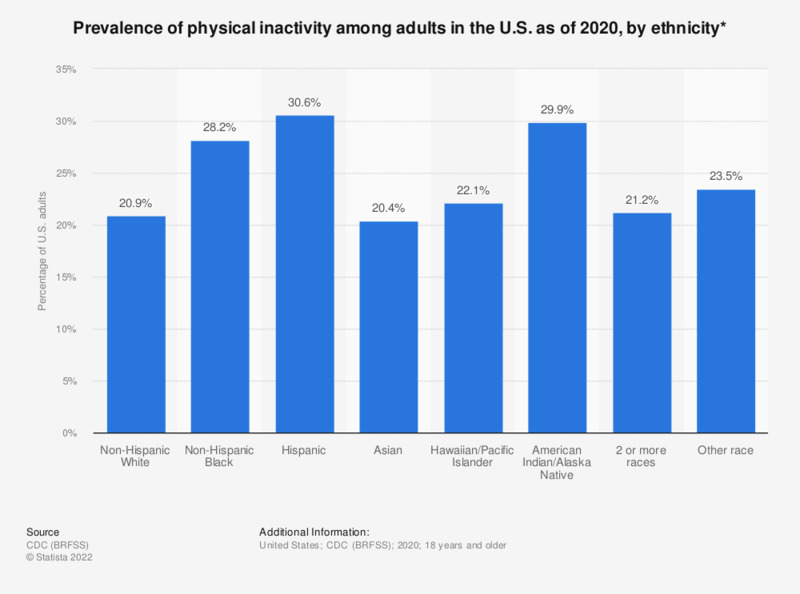 This statistic represents the prevalence of sedentary lifestyle in the United States as of 2018, sorted by ethnicity. As of that year, the prevalence of sedentary lifestyle was highest for black adults with a total of almost 32 percent. Percentage of adults who report doing no physical activity or exercise (such as running, calisthenics, golf, gardening or walking) other than their regular job in the last 30 days.